Before I go any further, I have to explain something that not everyone realizes: Not all of the fonts in the Adobe Type Library are owned by Adobe. 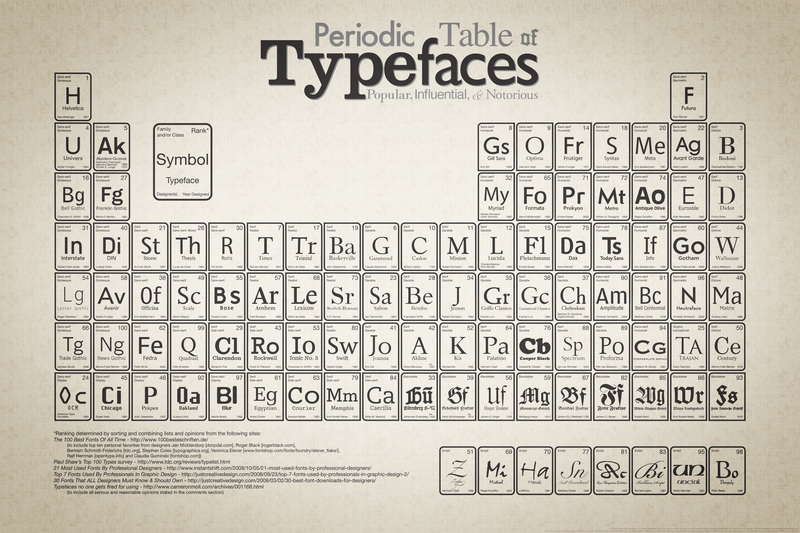 Many are licensed from other foundries, and Adobe cannot offer these fonts for use on the web. (See below for a list of the typeface families that are Adobe-owned or otherwise eligible as web fonts.) As you consider the possibilities, keep that in mind. So, how should you approach this question? First, consider the two ends of your spectrum of choices — one family with lots of fonts, or several families with just a few fonts each. Of course it can be anything in between, but that’s the nature of the dilemma. Probably the most basic selection for web use is a regular, italic, and bold font. That will provide all the standard functionality you need to apply emphasis and other standard HTML text styling. We wonder if this is enough for some people. Would you rather see more font families with just this basic set? The trouble is, once one looks through these typefaces and their weights, widths and styles, one begins to realize how handy the extra options are. A good condensed face is nice for a large headline. A medium or semibold weight can help with text reversed out of a dark color. Caption fonts hold up well for small text on low resolution screens, but display fonts give you more typographic personality when they’re large enough. Of course, someday we would like to have all our fonts available for web use, so part of our thought process is considering how to incrementally release some of these large families. Some families can naturally be divided up among widths or optical sizes, so it is tempting to release them in those sub-groups. Perhaps, though, users would prefer to have more stylistic choices in an initial release, which would entail, for example, releasing a few carefully selected condensed fonts along with the regular width fonts, or perhaps some display fonts along with another optical size. You get the idea. If you have a favorite Adobe typeface that you want to use on the web, tell us what it is. Do you need it in a lot of weights and widths, or is a basic set of styles enough? Consider what selection will be most useful to a wide variety of people and tasks. Remember, the more fonts per family, the fewer families there will be. The challenge is to limit yourself to a couple dozen fonts or so. Lastly, explain you choices. Understanding the reasons for your preferences gives us more insight into our customers’ needs and helps us make better decisions later. We’re looking forward to hearing your suggestions. The following families are eligible for Adobe Web Fonts. (*) Denotes font families already available as web fonts, in full or in part. To see the individual fonts for each family, visit the Adobe Fonts showroom. To browse our currently-available Adobe Web Fonts, visit the Adobe foundry pages on Typekit. Wood Type Ornaments and Symbol. Please oh please! Need decorative elements to go with the letters. I am seeing a lot of requests for fonts that we are not available to offer. For those of you who didn’t read the full post, we can only offer those fonts listed in the 3-column table at the bottom. Please limit your suggestions to these fonts only. Thanks. Adobe Caslon Pro would be my first choice followed closely by Arno Pro. What are the options for making fonts not on the list available? I understand that you cannot make fonts like VAG and DIN available because they’re licensed from other foundries… but does that mean that that font will never be available, or that the foundry must approve first, or that both the foundry and adobe must approve? To be honest, most of the fonts that I would use out of that list have already been made available (and that I greatly appreciate). It means that it’s up entirely to the owner of the font. The best approach is to contact the foundry and make your requests directly to them. When you make a font available, if its desktop version has true small caps, PLEASE offer the small caps in a separate web font. Typekit is woefully understocked with small caps, and Slimbach’s small caps are the best. I understand the desire for small caps and other typographic alternates. Typekit is actually delivering our full-featured fonts (when you select the “full font” option for your Kit), so we’re trying to help get OpenType layout support into CSS3 and supported in new browsers as soon as possible. Let browser makers know you are interested in this! Having Open Type support in web browsers (not to mention small caps support in MS Word) would be great, but web designers need to work today with what is available today. Since true small caps are NOT yet supported in any of the browsers, Mr. Heidbreder’s suggestion makes a lot of sense. I’d be using Adobe Garamond small caps today if they were available. Does Adobe have some kind of exclusivity agreement that only lets them offer their fonts through Typekit? Because Typotheque’s approach lets you map substituted glyphs back to character positions and effectively synthesize small caps and OsF fonts until CSS3 font features support is up and running. I recommend starting with Arno, Caslon, Warnock, Kepler, Jenson, Brioso, Poetica, Sanvito and Copal. Kinesis is not listed as “eligible” but should be. An underappreciated design. A basic set of styles will do until the font-features-in-HTML-or-CSS working group’s proposals get finalized and start showing up in browsers. Then you might wish you had added the rest of the weights and features, if you don’t go whole hog initially. The text weights of Garamond Premier Pro — regular, medium, semibold, and bold, and their italics. Seriously. It’s PURE torture seeing the display version up there and not being able to use GPP for body text. Garamond Premier Pro is the most beautiful serif face in the world. I’d go for Caslon, Arno and Warnock in that order. Cronos may not be famous, but it very well could be as it’s rediscovered by a new audience of web designers. It’s a timeless design that just happens to be especially relevant to the present. Its sort of ironic that the type on this blog about web fonts looks so bad and is so hard to read. Ok now that I’ve turned on Clear Type the blog looks much better! Take the approach of a web start-up … release new fonts with a few basic styles first. It’s better to get the best type out there… add more styles later. I’m not sure how well suited these are for the web, but Arno and Brioso. Optical sizes? And that lovely Japanese font that use a scaled down Brioso for the latin that I can’t remember the name of right now. But perhaps that one isn’t yours. You’re referring to Kazuraki. It is one of ours. The instance of Brioso Pro that it uses, specifically Semibold Display, is actually scaled up, not down. In any case, Kazuraki is ideally used for vertical text, and the Web and web browsers have a bit of maturing to do before such fonts make sense as web fonts. I’d love to see Brioso Pro, Adobe Caslon Pro, Adobe Jenson Pro and Warnock Pro. But quite importantly, I’d really really want to see separate small caps fonts for all the fonts that have them. I don’t care much for the availability of other OpenType Layout features for now, but small caps are just as important as italics, and I would greatly want to use them — before browsers implement CSS3 font feature settings. Anyone else happen to notice that Adobe Clean is the typeface being used for this page, and that it is being hosted by Typekit (but is not available for normal Typekit subscribers)? That is a web font I want to be publicly available. As we noted earlier, Adobe Clean is Adobe’s new corporate typeface so it’s not available for non-Adobe use. Typekit offers private hosting for corporate fonts, alongside their subscriber services. Its not on the list but my request would be all weights of Univers Condensed. Unicode support? Anybody tried in different locales? What about other scripts? Type1 pages does not allow to test also Unicode chars. There are also some other problems on localized new Adobe pages. Just FYI. You’ll find support for many different Western languages and scripts in our fonts on Typekit. For more information, see this post. I’ve been working on a site which uses Shuriken Boy as a major typographical/design element. There is no real substitute for Shuriken, webfont or no, and I would be most grateful to see that pop up on Typekit. Also love “Cantarell” but don’t see it on the list.